Thomas Eastman Crawford passed away Friday, October 12, 2018, in Grand Rapids, Michigan after a long battle with dementia. He was born August 15, 1934, in Petoskey, Michigan, the 5th child of Ralph and Vera Crawford. 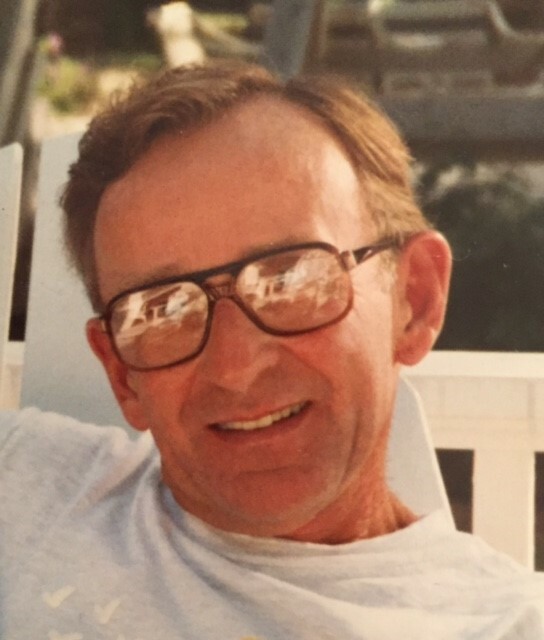 He attended Petoskey High School and excelled at sports, with football and tennis being his favorites. Tom had his son, Jeffrey Crawford while he was in the service in Nebraska, and returned home to Petoskey when Jeff was a young child. As a single dad in 1965 he met and married Hildegarde who brought her three children, Lydia, Robert and Mary into the family and they enjoyed 48 years of marriage. Their love of travel and family roots abroad led to many wonderful trips and experiences for their joined family in Switzerland and Spain. Tom was the owner of the Junior Squire, a young men and boys store in Petoskey, for many years. Both boys and girls frequented the store during the era of corduroys, crew neck sweaters and down jackets. He and Jeff shared years of playing tennis together, and the tennis court in their backyard at L’Arbre Croche was a joint blessing. In later years, Tom and Hildegard moved to Fort Lauderdale, Fla., where they spent their retirement by the ocean. Tom used his tennis skills to become a teaching pro at a local private school, and later as the resident pro at their condo, for many years. Eight years ago they moved to Grand Rapids to be nearer to family and to finish his final years back in Michigan. He is survived by his children, Jeff (Antoinette) Crawford, Lydia Lawson-Boyce, Robert (Judy) Lawson, Mary (Jeff) Dixon; grandchildren, Whitney Boyce (Joe) Ostrowski, Michael (Holly) Lawson, James (Christina) Lawson, Max (Sarah) Dixon and Margo Dixon; and great grandchildren Joey Ostrowski and MJ Lawson. Cremation has taken place. A family service will be held Saturday, November 10, at the gravesite, at Cascade Cemetery on 30th Street in Grand Rapids. The family would like to thank Deb Rost and her staff at Sunrise Assisted Living for their tender care of our father in the 5 years he spent with them. Hospice of Michigan played a special role in his care throughout his journey.